The cycle of making, glazing and firing in the pottery studio. In this group of images, Gary & Daphne make pots, glaze them, load them in the Bourry Box wood fired kiln and fire the kiln. 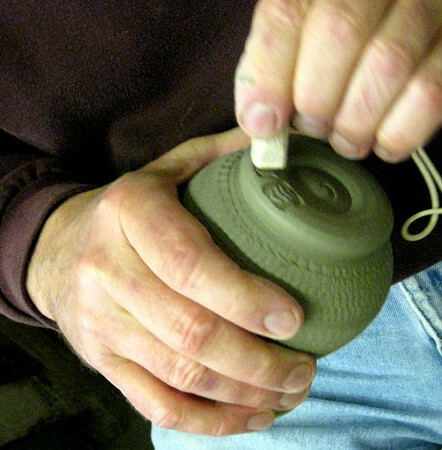 Gary presses his "seal" into the soft clay.